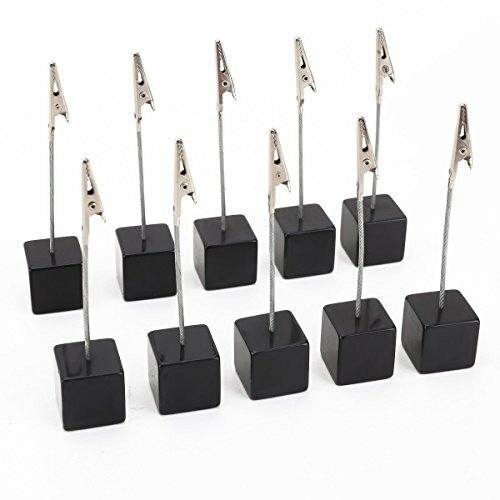 This item is a set of 10pcs note paper holder clips, which are made of resin and stainless steel, wonderful desktop document holder with translucent cube base and crocodile clip. Great for writing down unexpected office tasks and perfect for home or office with limited space. - Height: Approx. 11.7cm; Base size: 2.4 * 2.4cm. - Fun desktop document holder with cube base and crocodile clip. 10pcs note paper holder clips. Strong alligator clasp keeps photos upright at all times.